Conclusion: What’s The Best Secure WordPress Hosting For You? 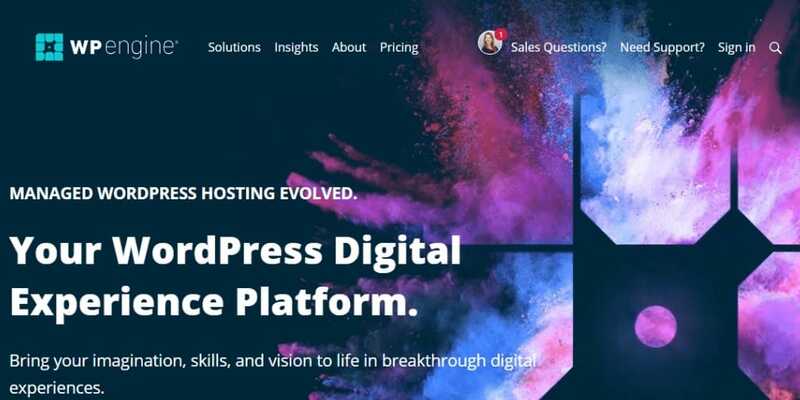 Kinsta is a popular managed WordPress host with a great reputation for security. It’s also where I host WPSutra. You can see my full Kinsta review if you’re interested in more than just Kinsta’s security features. To my knowledge, Kinsta has never had a security incident, which isn’t a surprise because they put a lot of controls in place to keep everything safe. First off, Kinsta uses Google Cloud Platform to power its hosting, which instantly gives you the security of Google for your physical hardware and network. Kinsta also offers some other unique WordPress security rules. For example, they automatically enforce strong passwords for all WordPress accounts. And they also automatically ban any IP address with more than six failed login attempts in one minute. Kinsta’s hosting plans start at $30 per month and have great performance, as well as lots of other helpful features. WP Engine is one of the most popular and well-known managed WordPress hosts. Web application firewall. One neat thing the WP Engine does is use its scale to monitor for new network attacks and then add those to the firewall rules. Because WP Engine hosts so many WordPress sites, you benefit from “herd immunity” here. Automatic updates for WordPress software. WP Engine will even identify vulnerable plugins and either update them or patch them for you. In the interest of transparency, WP Engine has had one security issue in its history. Back in 2015, some customer credentials were exposed. WP Engine handled the situation promptly and there haven’t been any incidents since. WP Engine plans start at $35 per month. Built-in firewall to detect and block malicious actors. Similar to Kinsta, if something does manage to get through all those security layers, Flywheel promises to clean your site and restore it to working order for free. Flywheel’s plans start at just $15 per month. Pagely is probably the most expensive WordPress hosting that you can find, so this one is definitely not for most bloggers. 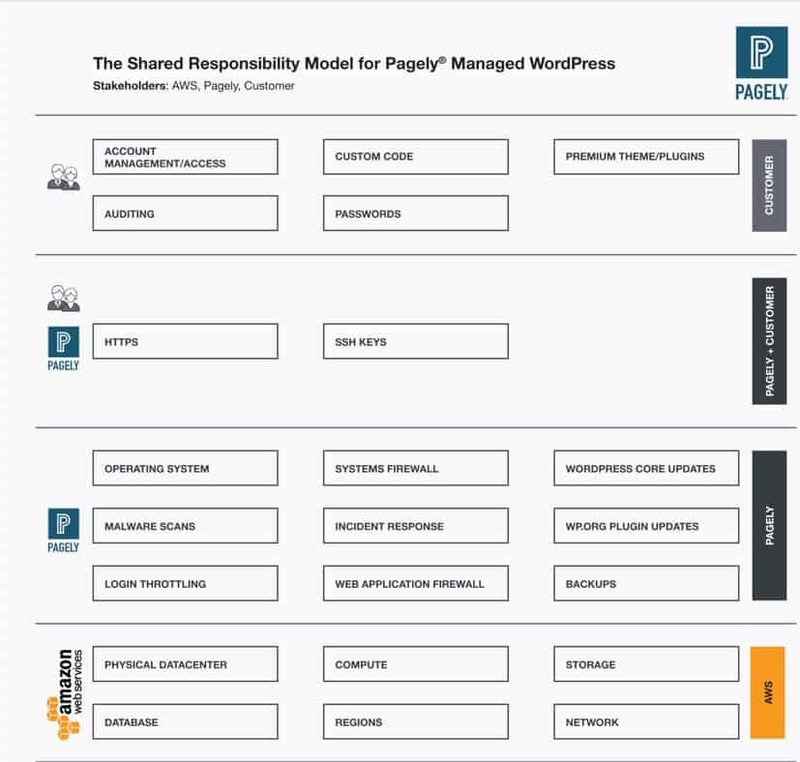 But if you’re willing to pay a premium price for premium service, Pagely has a strong focus on security and performance for large WordPress sites. Pagely calls its various security features PressArmor. First, Pagely’s base security level is its web application firewall to block most known exploits, as well as network edge rules for further protection. On top of that, Pagely adds real-time malware monitoring that searches for “trojan horses, viruses, worms, keyloggers, spyware, and adware”. 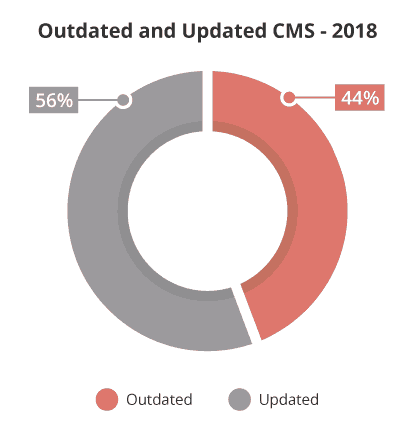 Pagely also goes beyond that and will automatically patch vulnerable plugins, as well as automatically update your core WordPress software for security updates. Pagely’s PressArmor will even help you filter out spam comments! God forbid, if anything does go wrong, Pagely offers a free hack fix guarantee like Kinsta and Flywheel. Pagely’s cheapest plan starts at $299 per month (yes – $299!). 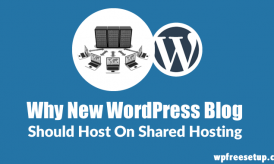 While the four previous hosts were all specifically managed WordPress hosts, Cloudways lets you host any type of site (including WordPress, of course). It’s actually a service to add managed hosting to various cloud hosting providers like DigitalOcean, Amazon Web Services, and Google Cloud. 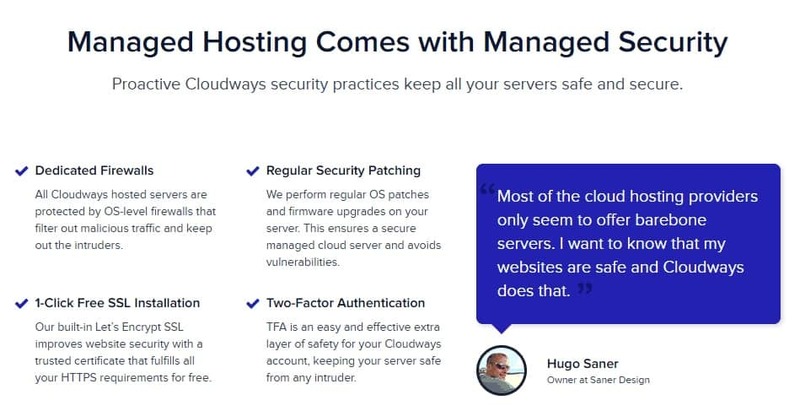 Cloudways takes a little bit more of a “do it yourself” approach to hosting while offering good security controls. If you want that flexibility, while still having a secure environment, Cloudways can make a good choice. But if you’re a beginner blogger, I recommend staying with one of the managed WordPress hosts. Cloudways plans depend on which cloud hosting provider you choose. The cheapest option is a $10 per month DigitalOcean server. 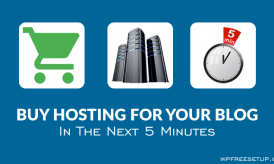 All of these hosts offer secure WordPress hosting, but there are some significant differences in price and features. If you’re a beginner at blogging and want something affordable but still more secure than shared hosting, I would recommend you start with Flywheel as it’s the cheapest option at just $15 per month. If you can afford $30 per month, I like Kinsta. Again, this is where I actually host WPSutra. Just make sure to pay attention to the traffic limits on the various plans. And if you have a huge budget, Pagely offers a great service – it’s just not cheap. Kinsta and WP Engine’s higher plans are also good options. 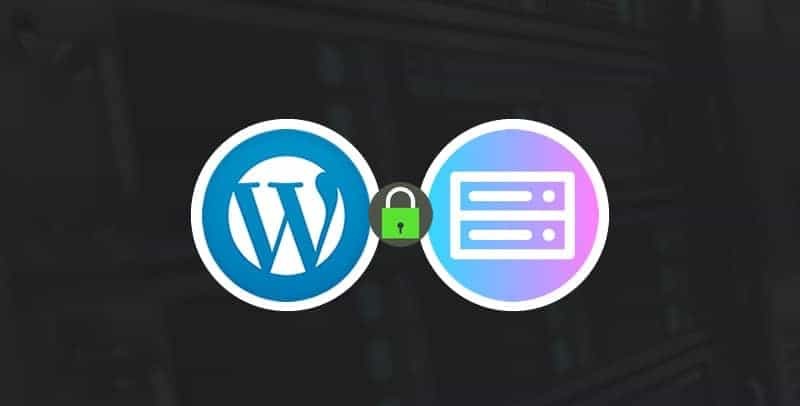 Do you have any other questions about what makes secure WordPress hosting? Leave a comment and we can talk about it.